Extremely nice bokeh, warm and fuzzy feelings. Just like christmas should be. Love it! Love the warm tone-on-tone color palette. What a gorgeous image, Martina! Looks so bright and full of hope! I echo those who’ve commented before me on what a lovely image this is…and that bokeh! Excellent match between photo and quote. May Christmas keep you in it’s heart as well. A nice warm photo, with a perfect bokeh..
Merry Christmas for you and your family!!! 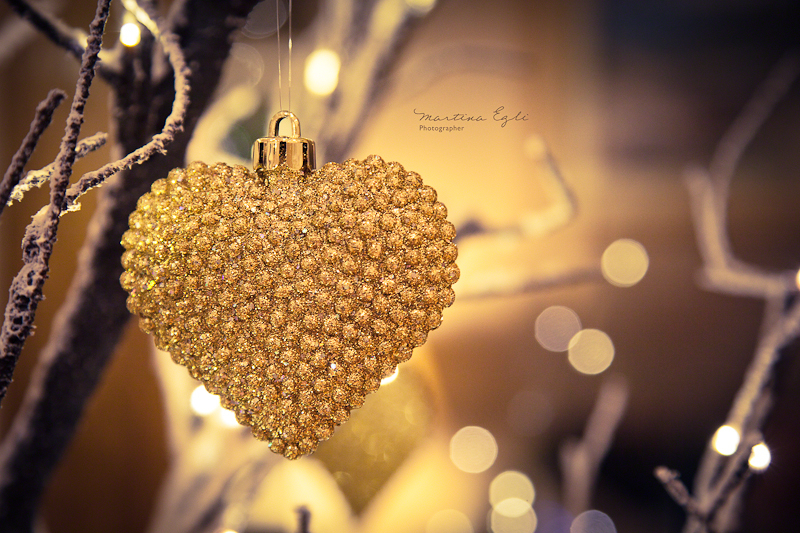 Liebe Martina, was für eine tolle Christbaumkugel und welch bezauberndes Bokeh. Ich wünsche Dir ein schönes, besinnliches und ruhiges Weihnachtsfest sowie einen guten Rutsch ins neue Jahr. Für 2012 allseits gut Licht und weiterhin so tolle Bilder. Vielen Dank für Deine netten Kommentare auf meinem Blog. Herzliche Grüße aus Deutschland, Ralf. Merry Christmas Martina for you and your family! What a gorgeous ornament. Hope you had a Merry Christmas Martina! And Happy New Year!